Jessie Mae Holloman Hall touched many lives for over 100 years. With her lifelong curiosity, she sought horizons never considered by most women of her generation. After graduating from Sinai Hospital’s School of Nursing in Baltimore, Jessie took post graduate courses in contagious disease, at Sydenham Hospital, also in Baltimore. When Pearl Harbor was bombed, she urged a good friend to join her in enlisting in the United States Navy as registered nurses during World War II. On March 29, with her daughters by her side, Jessie peacefully ended a life worthy of a documentary on service to and sacrifice for others. She was diagnosed with Alzheimer’s disease in 1986, but, due to its slow progression, continued to engage her friends in her many interests in Macon, in Apalachicola, where she moved with her daughter Bruce, after selling the Hall family home in Macon, and in Monroe, Georgia at the home of her older daughter, March. After attaining the rank of Lt. Commander, Jessie married Macon native John I. 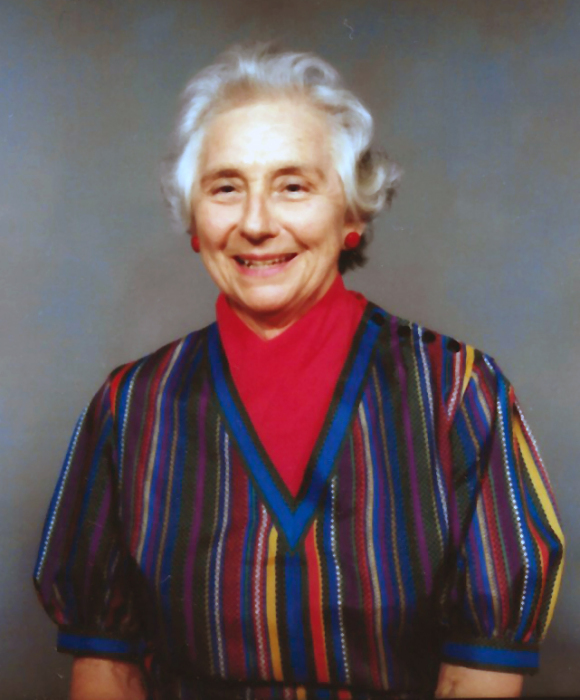 Hall in 1946, retired from the Navy and returned with her husband to Macon, where he was an orthopedic surgeon. The Halls had three children, two of whom, Bruce Lynde Hall and Jessie March Hall, survive her. John I. Hall, III, the eldest of the three children, died in 1987; his dedication to the preservation of southern waterways, including the Ocmulgee River, was memorialized when the non-motorized water craft take-out at Amerson Water Park was named the Jay Hall River Access at a ceremony in the park in 2015. Jessie, although assisted by a wheelchair, attended that event with her daughters and with several other Hall relatives. Jessie introduced many girls to the Girl Scouts, an organization in which she was active for many years, enlisting the help of her friends to join her as scout leaders and to work at the local Martha Johnson Girl Scout Camp. She worked in home health care as a volunteer, for the American Red Cross in disaster relief efforts, and, after her husband died in 1975, leaving her with three children to raise, taught nursing and worked as a registered nurse at the former Medical Center of Central Georgia. Cedar Shores Estate, a resort near Waco, Texas, was left in her hands after the unexpected death of the owner, her brother, Bill Holloman in 1986, leaving Jessie to bear the responsibility of selling cattle, parcels of land and of managing the private water utility for the resort. She enjoyed her visits to the house and lake for many years. In her 70s she was one of Ouida Canady’s art students and delighted in taking members of the painting class to the picturesque resort for a change of scenery for the plein aire artists. Later in life, and successfully holding Alzheimer’s at bay, she continued her work in her gardens on High Street until she was brutally attacked by an intruder in June of 1995, an attack that galvanized her neighborhood in demanding better police patrols and that raised the consciousness of local law enforcement to better monitor paroled felons. The family is grateful to Bevis Funeral Home in Crawfordville, Florida for assistance after Jessie’s death. Hart’s Mortuary is responsible for arrangements for Jessie’s service, with full military honors, and a reception to follow, April 13, 11:00 am, at Hart’s at the Cupola. Interment will be private. Flowers are accepted or memorial contributions are suggested in Jessie’s honor to the Alzheimer’s Association, the Girl Scouts, Weems Memorial Hospital in Apalachicola, or to the charity of the donor’s choice. Please visit www.hartsmort.com to express condolences. Hart’s at the Cupola, 6324 Peake Road, Macon, Georgia 31210, has charge of arrangements.